Treasure Coast Capital Partners M&A team provides confidential advisory services to clients by matching buyers, sellers and investors with qualified financial and strategic partners. Every client engagement is lead by experienced professionals with specialized industry knowledge. In combination with our industry contracts, private and public equity partners, our team approach enables creative and successful transactions that transform companies and industries. 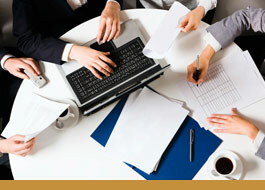 TCCP's assists emerging growth and established companies looking to raise capital. Funds raised are typically used to finance rapid growth, expansion, research & development initiatives or potential acquisitions. Private placements can also provide an opportunity for strategic investors, technology partners, customers, or suppliers to contribute to a company's growth. TCCP assists in establishing Employee Stock Ownership Plans (ESOP) as an employee benefit plan which makes employees of a company owners of stock in that company. A company interested in establishing an ESOP has a wide range of options in tailoring a plan that is best suited to meet its particular needs and goals. A large publicly traded company, for example, would handle the creation of its ESOP differently than would a smaller firm. Utilization of plans like an ESOP also allow for owners or shareholders to divest all or part of their interest. Since then, gold and steel combination has become a Rolex watch one of the replica watches characteristics of the mark. Rolesor combines these two metals: gold and steel. Gold, both replica watches uk noble and precious, rich luster, and stable, so quite attractive; steel, unbreakable, extremely swiss replica watches strong, can be trusted. These characteristics perfectly reflect the elegance of the Rolex watch replica rolex and excellent performance. TCCP has also successfully guided companies into the public arena though an Initial Public Offering (IPO) and Reverse Mergers. As a boutique firm, we can be flexible in terms of timing, direction and amounts of capital raised. Many companies are unfamiliar with the details that go into these new structures and are in need of guidance. We endeavor to use the most appropriate structure and experienced strategic investment, legal and accounting partners for each client's particular circumstances.